A Japanese woman found out that her boyfriend was cheating on her, and decided to soak his entire Apple device collection in the bath tub of his house. However, the boyfriend appears to have a sense of humour as he promptly uploaded the pictures to social media to be shared with the world. 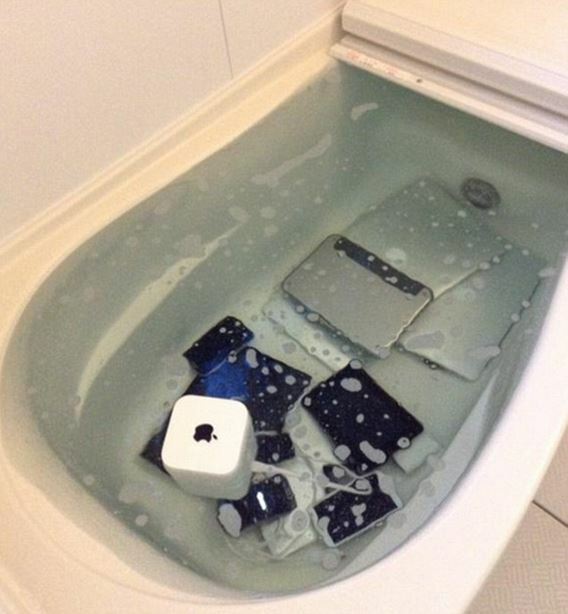 The waterlogged devices include Macbooks, iPads, iPhones, iPods, a Mac Mini and even an iMac. 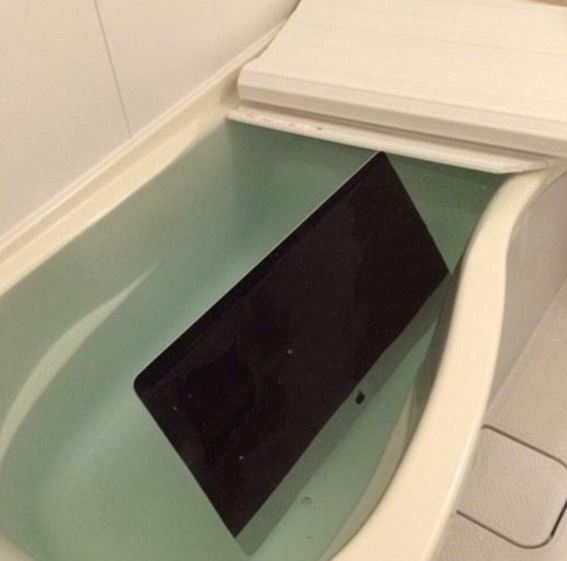 Which shows just how much of an Apple fan the victim was. It is also impressive that he has a bathtub big enough to fit an entire iMac, considering how space constrained Japan is. The tweet post now almost has 18,000 retweets and is receiving mixed comments on the situation. Most Apple fans would cringe at the sight of his gadget’s demise, but there are users who think otherwise. Several users commented that what she did was right because the guy should not have cheated in the first place. That being said, some users said that the damage was a little overboard, even though he was cheating. Either way, the real lesson is that every Apple user should invest in Apple Care and extended warranties if they intend to cheat on their significant others.